What are compression set, stress relaxation and creep in relation to elastomeric gasketing? All these concepts are related but different measurements of stress/strain and deformation and all are affected by temperature. Here’s a brief overview of compression set, stress relaxation and creep, and how each relates to commercially available gasketing materials. What is compression set? – Compression set of rubber materials expresses how much a material does NOT rebound after being compressed for a period of time at a specific temperature. The sample is released and measured, the results of the test (ASTM D395 ) are expressed in a percentage. Often this is referred to the memory of the foam. It is particularly important to take note of the temperature tested. Common temperatures are 70°F, 158°F and 212°F. Since compression set, stress relaxation and creep are all affected by elevated temperatures, this is very important. A material that has low compression set resistance at ambient temperature may exhibit major compression set at 158°F. 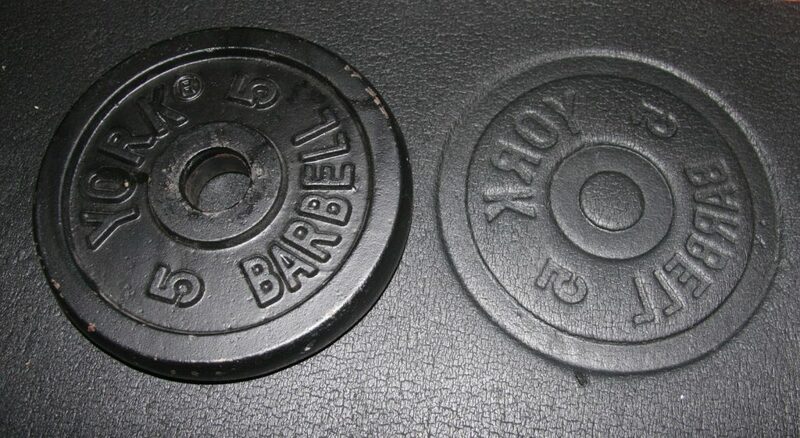 The above picture demonstrates how a weight has made a permanent impression in a closed cell foam. This is an example of compression set. If this were a gasket, the thickness would be reduced, possibly creating a leak point. Is compression set important? – For static application where the gasket will not be exposed to any significant pressures, such a light rain vs. pressure wash, it is not as critical. However once the gasket is unseated the seal is susceptible to leaking. Door gaskets for electrical or control enclosure are subject to periodic compression and recompression so rebounding or resistance to compression set is important. What is stress relaxation? – Stresses in a compressed gasket are generated in response to the clamping load. A simple way to think this is the “push-back” pressure of the gasket. Over time polymers will relax or push back less. The extent of the relaxation greatly depends on the polymer and temperature exposure. Think of squeezing a gasket in a vise, 1” squeezed to 0.5”. It may take 100psi to achieve this 50% deflection initially but over time, a load cell may indicate 75psi. The amount of “push back” will diminish after a length of time. If exposed to higher temperatures, the value could be less. This “push back” is important when sealing since the gasket needs to push back more than the pressures exerted on it from wind driven rain, wash down jets or omni-directional pressures from submersion. What is creep? – Creep refers to the long term deformation in gaskets from being under a constant load. This can be thought of as a brick sitting on top of a slab of rubber, measuring the thickness after being loaded for a set time and temperature. Creep in compressed gaskets is often mitigated with compression stops, or set compression heights. 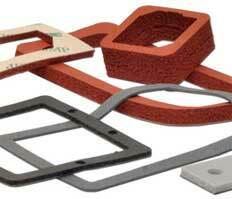 Compression set is the most commonly tested property for elastomeric gaskets/rubber materials. Test data can be found on most product datasheets. It is fair to infer that material with good compression set resistance will also have good stress-relaxation properties however quantifying this requires testing. Understanding how materials deform and rebound is critical for long term sealing performance. Gasket failure can lead to expensive equipment damage in the field. View more about compression set testing. Note: Silicone is a top performer due, in part, to its temperature stability. Poron was specifically formulated to have low compression set. For more information on performance elastomers for gasketing and cushioning applications, please call Stockwell Elastomerics at 215-335-3005 or complete a contact form for assistance.